Be sure to see information about a giveaway at the end of the post. Attending Maison & Objet is an extraordinary opportunity to see the latest in new trends for home and garden, plus Christmas decor. International businesses have to present professional business cards to attend the event. Botanic Bleu's small seasonal Christmas shop, known as French Country Christmas Event, qualified us to attend. 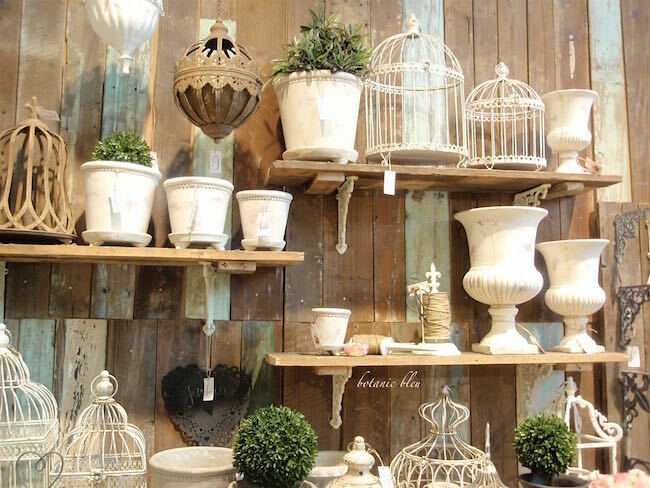 We attended five years ago when we were last in Paris, and we saw inspiring, creative displays that were fresh looks for us. We eagerly looked forward to attending again for more inspiration. In general, photographs of inside the overall buildings are prohibited, but photos of individual spaces are allowed with permission of the company in the space. Therefore, there are no sweeping shots of the show. The show is housed in eight huge buildings. We focused on Building 5 that had the temporary exhibitors and Christmas decor. 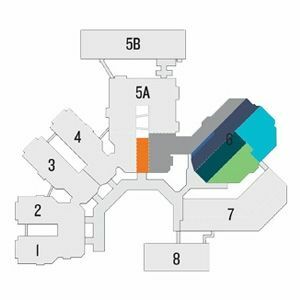 Even with limiting ourselves to Building 5, we still did not visit every vendor in Building 5. We did get quick glances at Versace, Gien, and Cristal of Paris. Chic Antique of Denmark was my favorite exhibit, and they graciously allowed photographs. The company is relatively new with reproductions of French and Scandinavian style furniture, and this was their first time to exhibit at Maison & Object Paris. 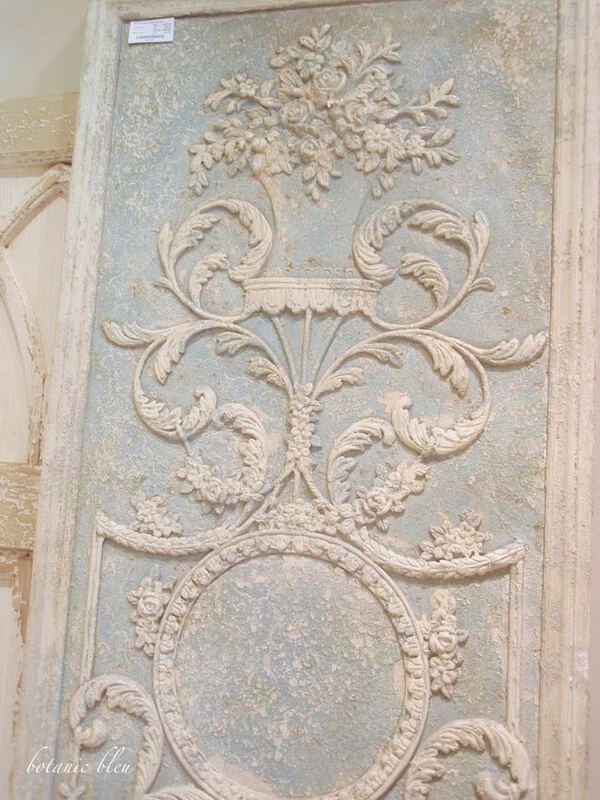 An intricately carved blue and white wall panel was what caught my eye from the aisles outside this vendor. If Chic Antique had an outlet in the United States, this panel may have been ordered to sell in my annual French Country Christmas Event. 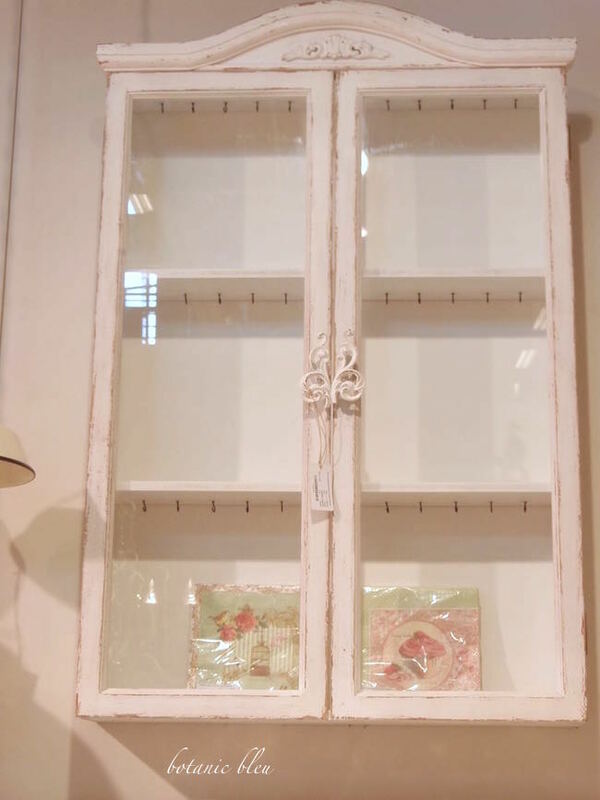 Can't you see this glass-front cabinet in several places in your home? How about over a toilet to hold extra toilet paper, air freshener, hand towels, and a bowl of lavender potpourri? Above a small desk in a guest bedroom filled with books, treasured keepsakes, and a small fresh flower arrangement? On the wall in a kitchen, filled with white stoneware? 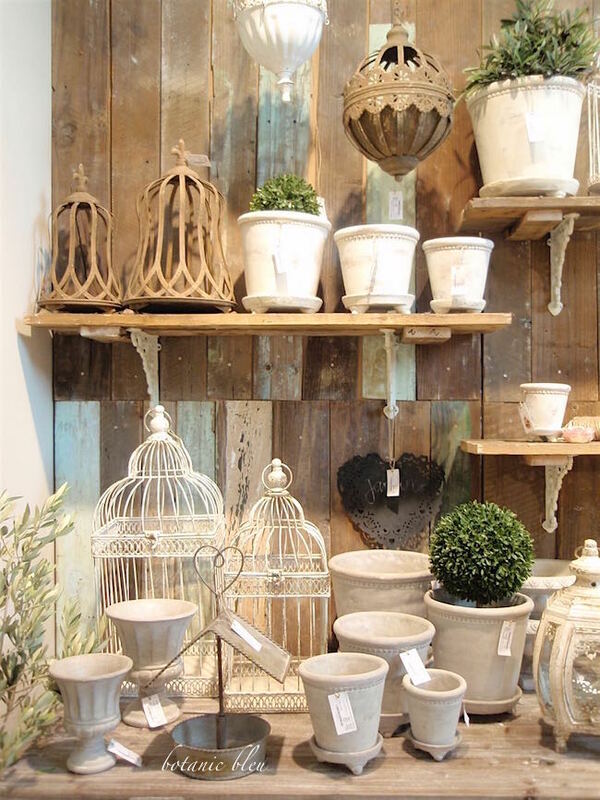 Container gardening is one of my passions, and this display of gardening accessories had several items I would have loved to order for the French Country Christmas Event. Do you see the fleur de lis twine holder with scissors? That would be on my order form. Of course, the three urn-shaped pots also would have been on my order form. Rustic barn wood seems to be popular in Europe, also. 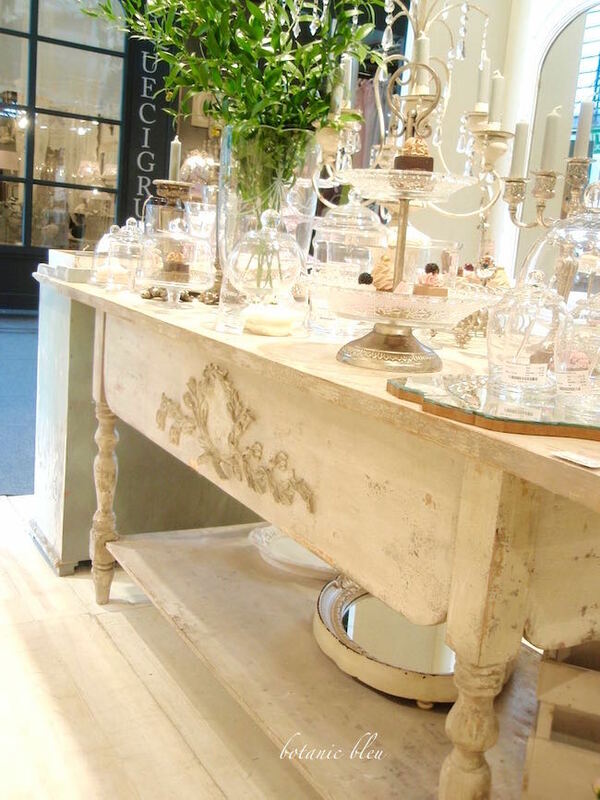 This rustic-meets-shabby chic white-washed table would probably have become a permanent display fixture in the Jardin Chateau, the nickname laughingly bestowed by my family on my garden shed that houses the French Country Christmas Event. 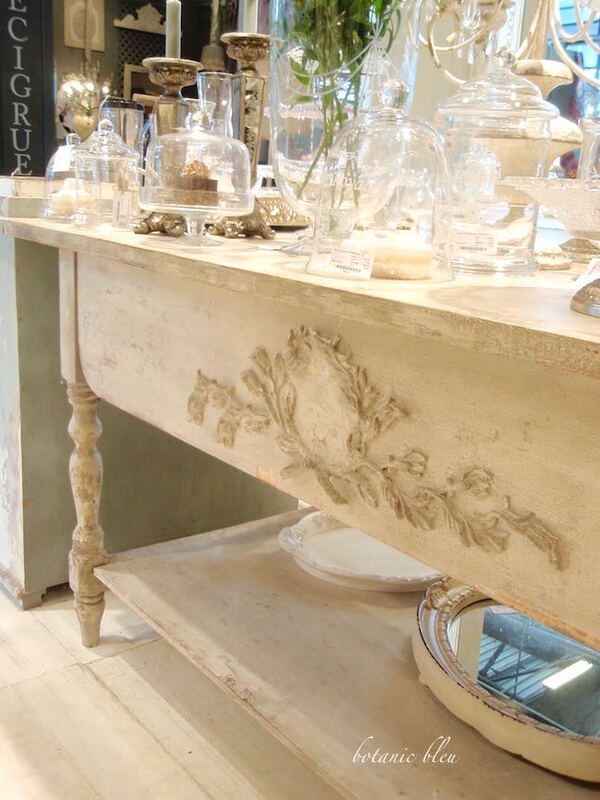 The French-style carved wood appliqué makes this piece! Anyone know a source for this kind of wood appliqués? The white mirror with its carved wood embellishment begged me to take it home with me, but it would not fit in my suitcase. 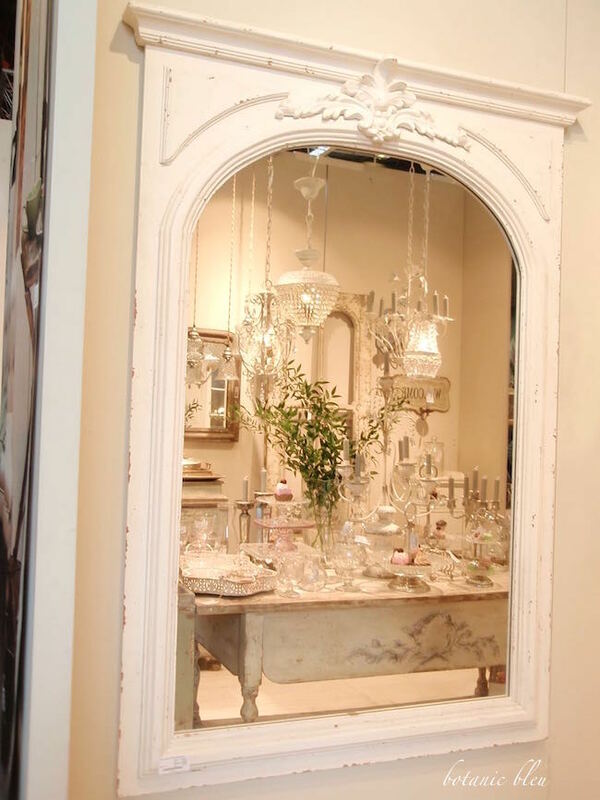 I shared the name of one of my favorite vendors in the Dallas Market with Chic Antique in hopes the two of them could get together to find a way for Chic Antique to have a USA representative. Do you see any Noël items you would like? I see several that would have been perfect for the French Country Christmas Event. 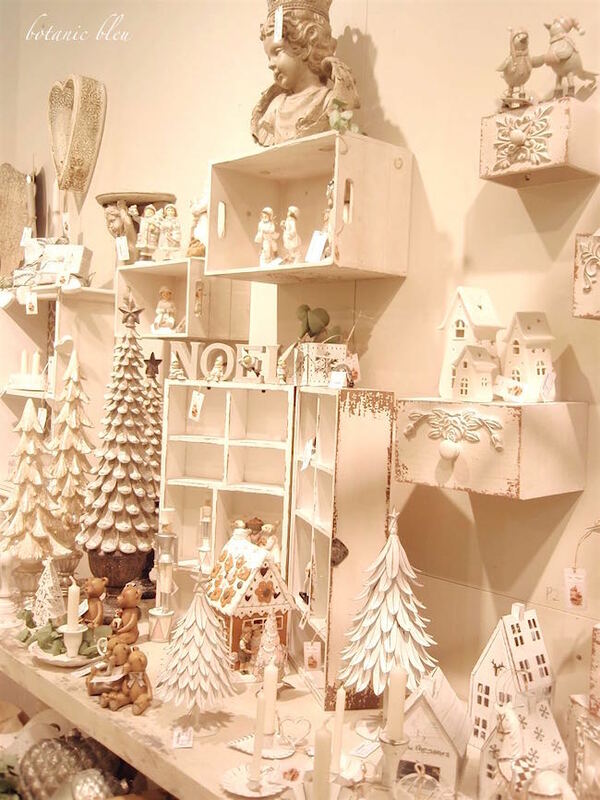 The Paris International Trade Show was one of the highlights of my trip to Paris, and I came home with so many ideas for the French Country Christmas Event. 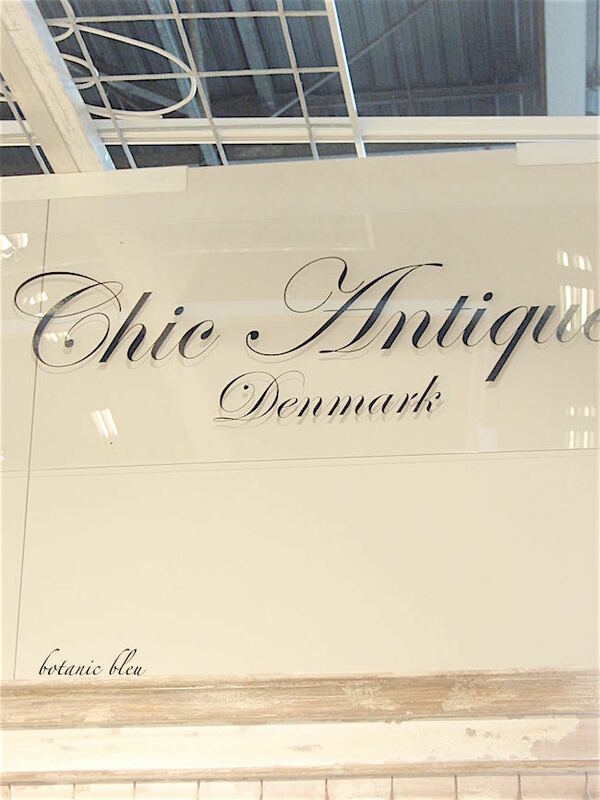 Do you have ONE single favorite item in the Chic Antique collection that would be a must-have for you if Chic Antique were available in the USA? While we can only dream about owning pieces from Chic Antique in Denmark, there is a USA custom-designed, hand-made pillow company that I love, Elliott-Heath Designs, that we can order beautiful pillow covers from. 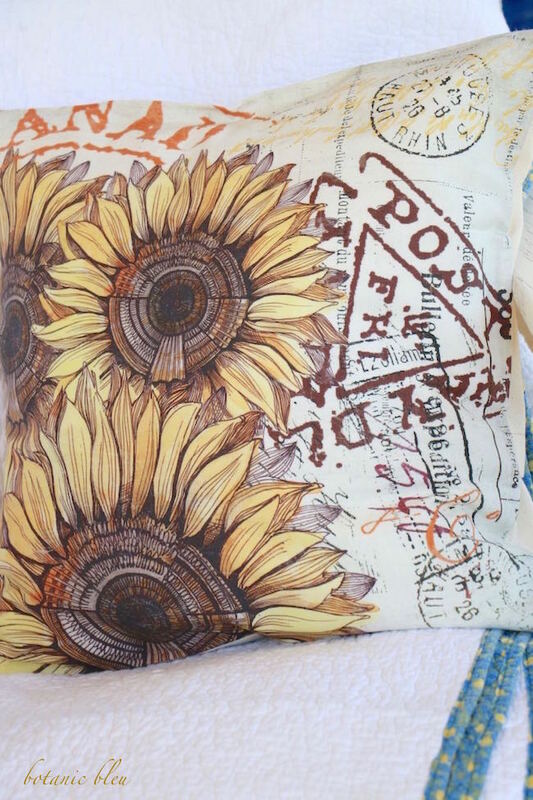 Beautiful, vibrant colored inks, 100% cotton fronts, heavy-duty envelope style canvas backs, and stunning French-inspired scripts make this pillow perfect for Fall. Come read more about Elliott-Heath Designs at Botanic Bleu on Thursday, October 6, 2016 and enter for a chance to win an Elliott-Heath Design pillow cover of your choice. I am so excited that one of my readers will win an Elliot-Heath Design pillow cover. I love these pillows, and there are more than 500 pillow covers from which to choose. Mark your calendar so you don't forget to come back on October 6, 2016 to read all about how to enter. What a thrill to be in Paris and to attend this show. I am sure you got so inspired. I know I did just by looking at the pictures. What a treat! Thanks so much! I wish I could go to this. Thank you for sharing your lovely pictures with us!!! It was a special blog post and I completely enjoyed it! Oh my!! I would have wanted one of everything!! What a wonderful event to attend. Thank you for sharing at TaDa Thursday!!! Divine! The glass has such a sparkle and I feel I need to add more of it. Anne of White Lace Cottage has a great source for wood appliqués. Home Depot used to carry a few. So did Rockler. Judith, what a beautiful show! Thank you for showing us some of the goodies. Judith, the photos are gorgeous! So fun that you got to attend. Thanks for sharing with SYC. Love that table and probably everything on it but I really want that table. Thanks for sharing at Home Sweet Home! Awesome! Oh my goodness, I would have wanted one of everything. SO many gorgeous pieces. How fun and so happy you shared at Dishing it and Digging it link party. Hope to see you again this Sunday. Have a great week. Oh my! So many beautiful things! I want one of each! So glad you got to be there in person!